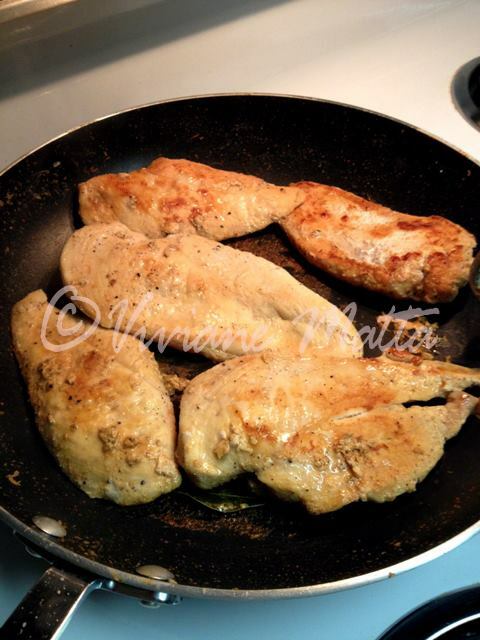 It is not a recipe per se, it is more of a method that I came up with to cook chicken, or any meat for that matter, without using fat. I know some will think I am insane, but even the best fats for you, can become harmful when cooked. I am not exactly a health nut, but I like to keep in good health and if taking up some little habits here and there helps, then so be it. The whole thing is easy really. 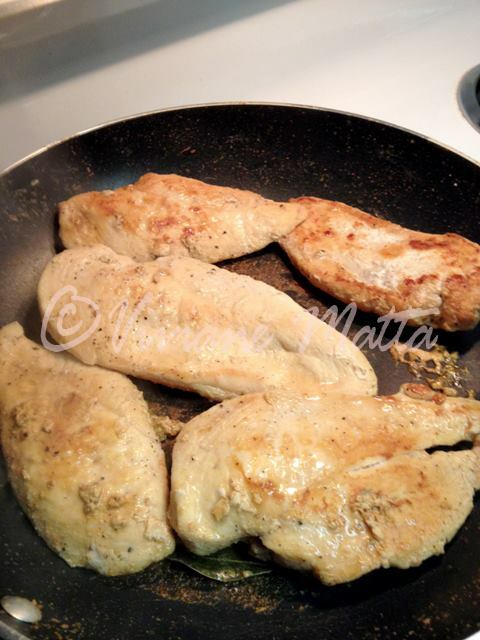 Start searing your chicken (or any meat) after seasoning it (I used salt, pepper and some bay leaves), in the pan over medium-high heat, till it starts to turn turn golden. Then you add about a quarter cup of water. Let the water evaporate. Be careful at this point, it might turn black and burn in a second. Repeat the operation till your chicken is cooked like you like it. I prefer mine a tad dry. Right before it cooks you can adjust the seasoning, add any other flavors you might want to add, in this instance I added garlic and lemon. 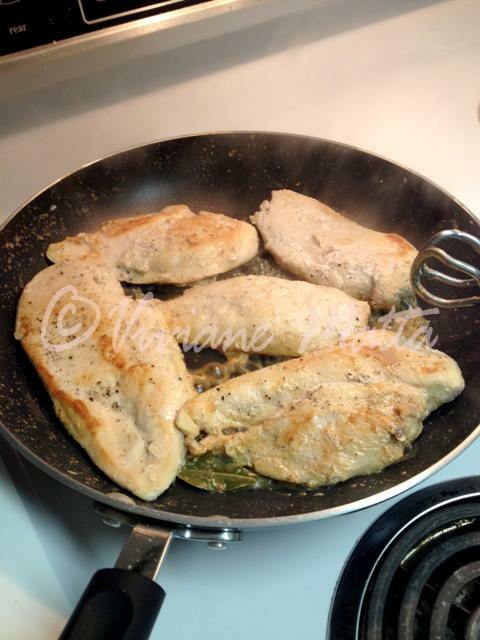 Cook for a few seconds for the flavors to infuse the chicken. Don’t evaporate the “sauce” or water completely, the chicken will absorb it off heat. The result is surprising actually, the chicken taste as if it had been cooked with oil, it does not taste as if it was boiled. 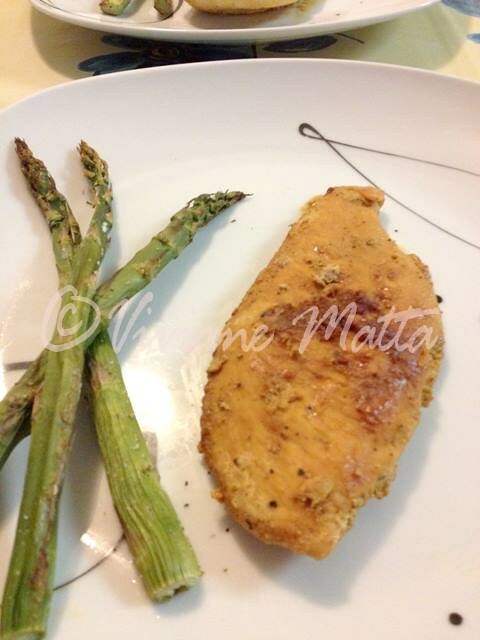 Serve it with whatever you serve chicken with usually and enjoy! 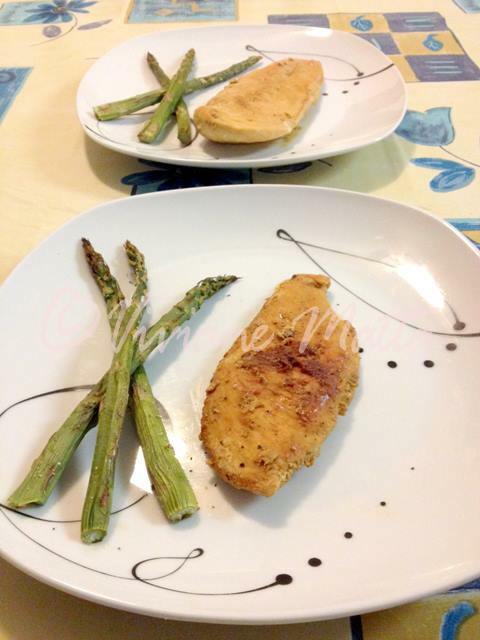 This entry was posted in Recipes and tagged Chicken, Chicken Breast, Chicken Breasts, Seared. Bookmark the permalink.